PETITION: 'Throwing pets in the dump is inhumane'. A MACKAY family is taking action against Mackay Regional Council after they say their deceased dog was disposed of "like a piece of rubbish." 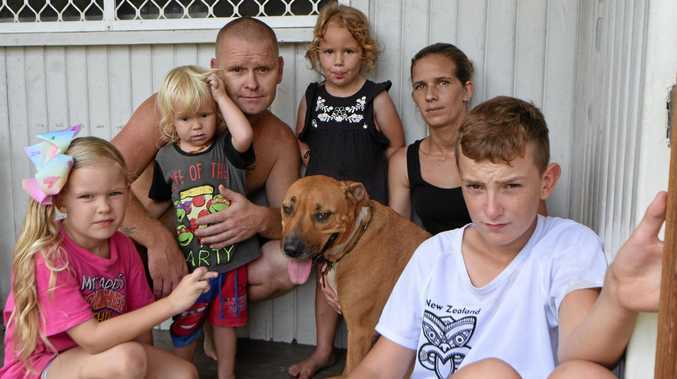 Johno Howat and Kiyah Best have started a petition to change council policy after their dog, Patches, was hit and killed on the Bruce Highway and then taken to the dump by council road crews. The petition was posted online only three days ago and already has nearly 600 signatures. Ms Best said it was clear the community wanted change. "There has been so many comments from people who have been in a similar situation to us," she said. "People want the opportunity to collect their pet so they can give the animal a proper goodbye. "Throwing pets in the dump is inhumane." Ms Best said she searched for her dog for an entire day after it had escaped from the yard. It was only after seeing a post on Facebook that she found out Patches had been hit by a car. "I saw the photo online of my dog laying dead on the highway," she said. "I called the council straight away and was told Patches had been disposed of. I was devastated." The support from the community has been overwhelming for Ms Best and her family. "The number of signatures on the petition continues to rise and I really think it will stimulate change," she said. "I would like to see the council photograph deceased animals and scan for a microchip. At least that way the owners are given a chance to collect their pet and give them a proper burial."